Home / Blog / Want To Add Your Events and Sell Tickets To Your Performances In Your Mobile App? Get This Upgrade! 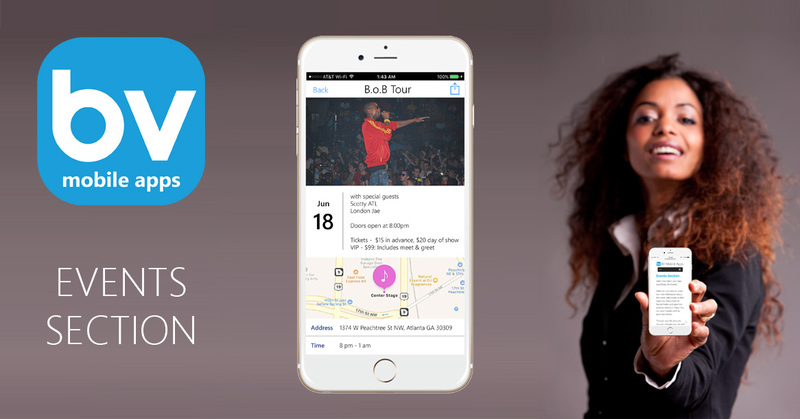 Want To Add Your Events and Sell Tickets To Your Performances In Your Mobile App? Get This Upgrade! With this new section, you can view information about the event, add events to their Calendar, share them on Social Media, and open the address directly in Maps. You can also include a link to purchase tickets. Ready to upgrade your mobile app with an Events section? Click Here For The Events Add-On!